She’s one of my favorite new artists. I’ve been spending a lot of time this fall in the woods doing some deer hunting. No luck so far, but I’ve had a chance to get a lot of reading in. Both physical books, iBooks and plenty of articles that I save into Pocket. One article I read recently was about Third Man Records and their life in Nashville the last few years. It was very interesting. And it spoke a lot about Margo Price. 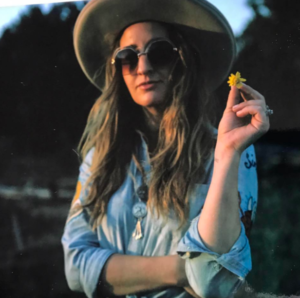 I remembered last year seeing Margo Price on the Billboard Country Album charts. I wondered who she was. She was a new artist and with Third Man. So I had to check her out and loved that album. Flash forward to now and I completely missed that she released a second album. Here is a song that seems to be getting the most play on Spotify from this new album. This is what great country music looks like today. A great narrative and a great melody. A mix of tradition with a mix of modern. It’s really good. I’ve kind of forgotten about Margo since really diving into that debut album. Now I’m excited to dig into this one. But back to the song. It seems to be about a topic that not many are discussing today, but it’s a very important topic for the world we live in now. So many of us are busy all the time. Going from one thing to another. And I won’t complain. I know others have it much worse. But Margo takes a good look at things. A little pain never hurt anyone. In fact, pain and losing are some of the best things in life…if you appreciate them.